We read to know we’re not alone. We read because we are alone. We read and we are not alone. We are not alone. It was a crappy night, and I just wanted a book that would make me happy. I wanted something pleasant that I could knock out in one sitting, curled up in my bed and drinking tea. I thought The Storied Life of A.J. Fikry would be fine enough. I was wrong. It was exactly what I needed. No shock but Fikry doesn’t have many customers or friends, and in the first chapter things go from bad to worse when he realizes his prize possession, a first edition of Edgar Allan Poe’s Tamerlane has disappeared. As one beloved possession disappears, something new appears, popping up in the sparsely-stocked children’s section of the bookstore and changing Fikry’s life forever. Like the characters in his beloved books, this unexpected package causes his life to twist in a strange, new direction. Soon, his lonely bookshop is packed with locals, kids and *gasp* a crime novel book club. This is a short book, but brimming with heart and sugary sweetness. Even when the plot is formulaic-Grumpy Widower finds love, the typical Stars Hollow-esqe cast of small town characters- the book skates by on its easy charm. Part of that charm is due to this book’s giddy love for the written word. Fikry doesn’t just sell books; he lives them. Every experience he has, everything he perceives, can be compared to a book he once read. And when he’s not selling books, he’s thinking of them. It’s no accident that one of the first major character’s we meet is a publisher’s rep.
Look this book isn’t a game-changer. You’re not scouring the book for clues. There are no twists that will blow you away. The Storied Life of A.J. 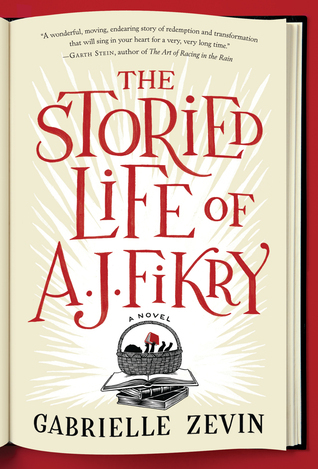 Fikry is just a feel-good book, a sweet world to envelop yourself in for a few hours. And sometimes that’s all you need. Share the post "Tell me what you read, and I’ll tell you who you are"
Did I Write a Book and Forget??! This seems just up my alley and reading needs of late. Added to the list.